Internal Monarch: I have a question Robert or Alex, where can I share the podcast too? SoundCloud, spreaker, but where else can I host it? I use my Logitech C-510 web-cam. It has horrible video but the audio is the best of the ones I have tried. Did Dave ever wash his pop screen sock? Awareness of self: the ability to form an identity and then attach a value to it. In other words, you have the capacity to define who you are and then decide if you like that identity or not. The problem of self-esteem is this human capacity for judgment of self. It’s one thing to dislike certain colors, noises, shapes, or sensations. But when you reject parts of yourself, you greatly damage the psychological structures that literally keep you alive. Judging and rejecting yourself causes enormous pain. Learn the 3 key elements to increase compassion while boosting your self confidence. Dave, Tag us on twitter as much as you would like. Am I using proper etiquette? I don't want to piss people off when I tag them that may not want to be bothered with being associated with my show. So far no one has complained. /Question of the week. When I send out a tweet about my show I like to tag as many people as Twitter will allow. 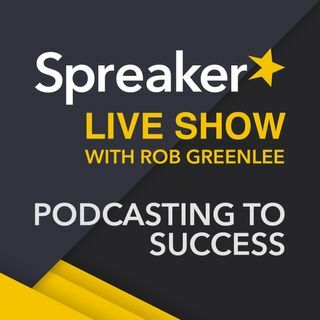 So I've added @robgreenlee and also @spreaker at the same time on certain Tweets. Who sees the @spreaker tag? Is that Overkill? Are you okay when we tag you? Maybe one show you can get a guest and discuss Twitter etiquette? I find that when I add a pic or two to my Tweets I can add more tags/names to the tweet. My P-blocker sock was in fact cleaned last week in the wash with the other socks. It feels soft, smells nice and is clean. I'm sure my phone is very happy with it. So am I! Hi Gail, Will talk about your comment on the next show. Thanks for posting here. Talk about flaws and mistakes. We are taught that we have to be perfect in recording. Some mistakes are not that noticeable. There are people that pay attention to every little thing so that they can make negative comments. Everyone may not like your show, but some people will. How about a plaid tuxedo? Will upload a full version of the show after it is over. Hey! Busy doing old school hand coded web sites from 1998 and 1999 so I get can them out there in HTML-5 format. Thanks for being here listening today!